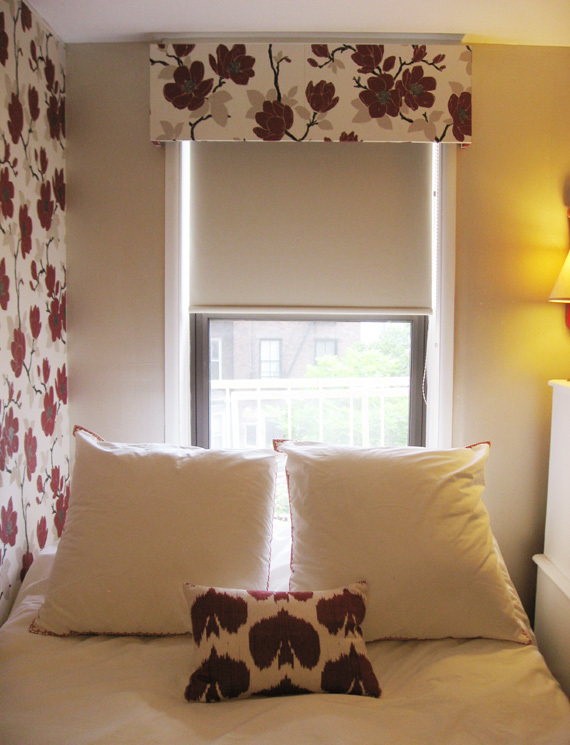 After a year of thinking about my guest bedroom valance project, it finally came to fruition. Why did it take so long? Because it took me forever to convince Mike that this über-DIY project was feasible. The plan was to build a window valance out of wood, wallpaper it to match our accent wall, and secure it to the inside of the window. Easy? We were about to find out. What helped kick-start this project into action was that we happened to find two pieces of discarded 50” wide x 14” tall wood–dimensions that were basically valance size. The height was perfect and the width just needed to be trimmed down a bit. 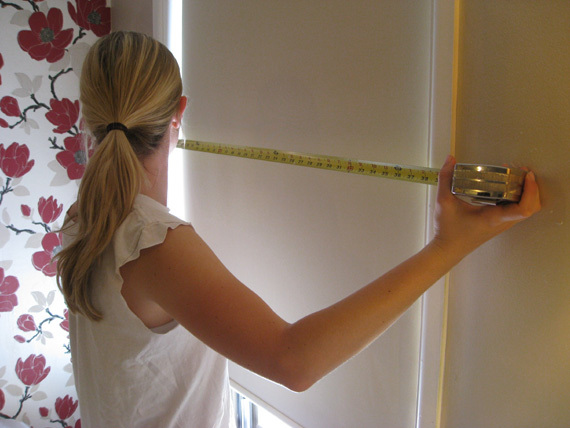 To make the window seem larger, we measured so the panel width would extend 3” beyond the window frame on each side, making the total 40” wide. Now it just needed a way to connect to the wall. The answer was create a short table-like structure to sit over the top of the window frame. Five-inch side boards would hopefully act as a base for a sturdy rectangular valance. 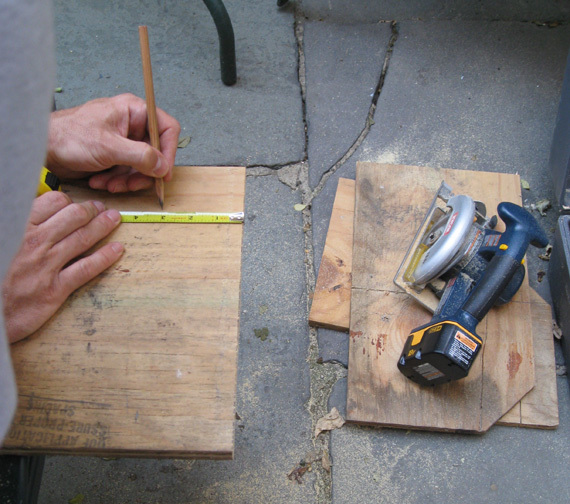 We broke out the circular saw and cut our three pieces of wood (the front panel, and the two identical five-inch side pieces). We checked to see if they lined up properly then sanded them until they were smooth. Now we were ready for assembly. 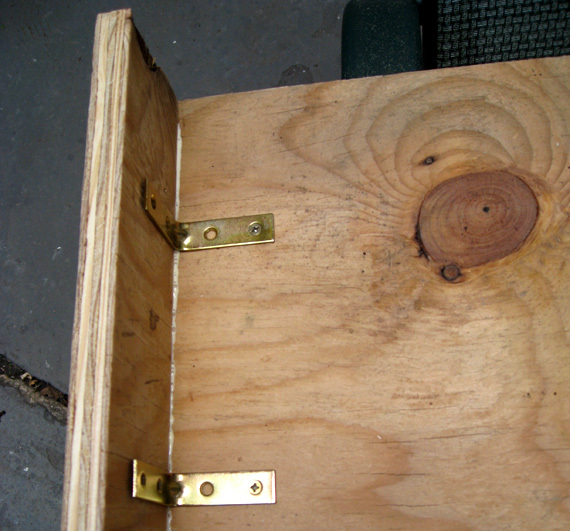 We ran a bead of wood glue where the side panels met the front but for the ultimate stability, we screwed four L-brackets on the inside of the valance. We sanded the wooden structure one more time and gave it a coat of wallpaper primer to make sure the paper would adhere nicely to this unconventional surface. At first it seemed like we had more than enough wallpaper to cover this tiny valance, but when we matched up the pattern we barely had paper to make it around the wood. 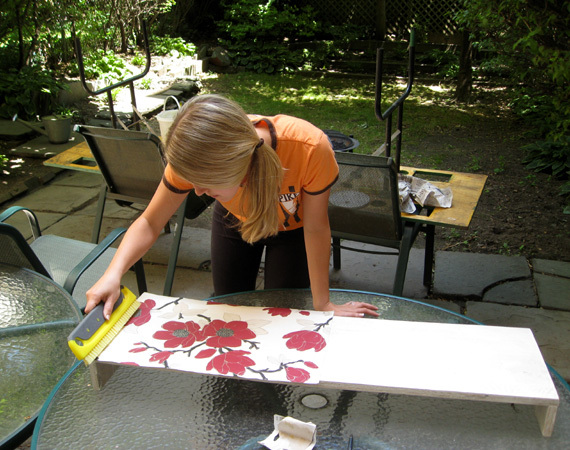 With zero wiggle-room, we booked the wallpaper (the process of activating the paste to maximize stickiness), pasted it to the primed wood, and cut the excess with a Xact-o knife–very carefully. After four hours of drying time, it was ready to hang. This part was a bit of a two-person juggling act, hence the lack of photos. The plan was to connect our valance to the wall with more of the trusty L-brackets, connecting from the inside of the valance to the outside of the window frame. To do this, we first held up the valance, making sure there it was centered and an inch from the ceiling, then we marked the spots where the four L-brackets would be the sturdiest and drilled into the wall. We have a window treatment that carries the bold pattern of our wallpaper around the room and gives our window a polished look! Now, I’ll admit that this project was definitely time consuming but I’m proud to say, it’s not that difficult to do and way cheaper than having a valance made.